Here is a quick tip for anyone out there who fears we might have tumbled into a dystopian Cyberpunk future while everybody was asleep: is any part of your attire glowing? If you answered "no" to this question, congratulations! The world might still frighten the pants off of you, but at least you aren't destined for a life of horrible drudgery in the Conception Machine. If "yes," then you'd better start brushing up on your E-Brain Hacking skills; they'll come in handy! Oh, and warn your friends to watch out for the Synapse Cops. 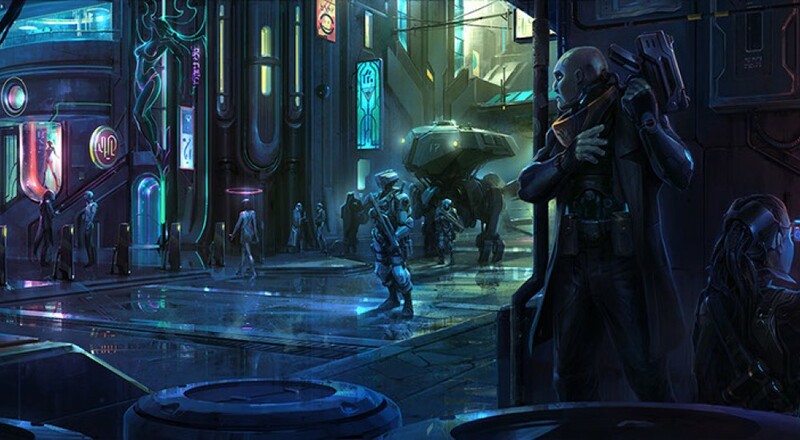 Satellite Reign just launched a Co-Op Beta, and anyone with a copy of the game can opt in! In case you missed our interview with the developers back in February, Reign is adding co-op despite missing its Kickstarter goal of funding the multiplayer. And good on them! Go to your Steam Library and right-mouse-click on Satellite Reign in your games list. Wait for the Satellite Reign to download and update. 5 Lives Studios wants you to keep Reign's "Open Beta" status in mind while you play, so if your buddy suddenly warps into a Data Furnace, or is eviscerated by cyber wolves, or is just drops from the server, they're still working on this stuff. They'd definitely love to hear about any bugs you might expect, though! The Steam version alone has access to the Co-Op Beta, with Humble access to be granted at a later date. The nature of GoG's form of distribution means they cannot host the beta, so anyone who purchased Reign from that particular retailer needs to wait until the full release. The kind developers at 5 Lives have provided a FAQ for all interested parties.